If you missed it check out my review of the Apple watch here. After thinking of getting a new phone other than the new overpriced iPhone, I started looking into fitness trackers that I could use with a different operating software. Here’s my review of the Fitbit Alta HR after trying it for a week. Fitness tracker – auto tracks most cardio workouts. Sleep tracker – auto tracks. Why I did I choose it? Having looked at the huge range of fitness trackers available on the market now, I narrowed it down to a few criteria’s. I wanted a watch with a face that would show the time, track my fitness when I do a workout and sync to an Android phone. The bonus is if it tracks my sleep too, as I’ve always wanted to try it out. In the end I chose the Fitbit Alta HR model because of the physical customisation capabilities. It is the newer model of it’s fashionable counter part; the Fitbit Charge that is also waterproof, and you can pop the tracker out of it’s band and hang it around a necklace accessory or bling bracelet (separately purchased) It loses it’s waterproof properties and possibly does not track any workouts as well with it being looser from the body. But for the intentions of it looking great, it’s perfect to jazz up to wear for an evening outfit but still be able to track your steps as you boogie away! The Charge does not have a screen, so I finally decided on the Alta HR but the Charge was a close second. The great thing about the Fitbit I have found is that you don’t have to manually select anything to tell it when to track your workout or sleep. With the Fitbit it automatically senses you’re working out at the gym after an adjustable amount of time and cleverly knows when your sleeping or awake. All of the data that it collects periodically syncs to the app on your phone when it is close by, making it so that you don’t have to have your phone on you at all times. Apple has jumped on this feature in the new iWatches but you need a cellular connection to make it entirely independent to the phone. The Fitbit app is super easy to use and the layout and user experience is a delight. It clearly displays my activities, water hydration tracking, and nutrition in neat tiles. The nutrition tracking has a vast database to chose from with barcode scanning abilities to easily add what you’ve eaten for the day. Unfortunately, the barcode scanning only worked 1 of the few times that I tried scanning my food, and most Chinese dishes aren’t ready available. However, you can manually input the food data, but I did not use this feature because you need an idea of the weight of each portion you ate so it was more hassle. Another great feature was that it automatically tracks your sleep and gives you a brilliant graph of the different sleep stages that you had; deep, light and REM sleep. This is great if you’re looking to improve your sleep and it’s interesting seeing the quality of sleep that you get each night. 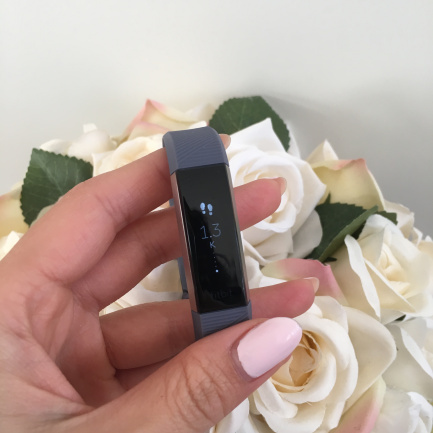 What did I think of the Fitbit after trying it for a week? Honestly, if I had any other phone it would be my go to fitness tracking wearable. However, as an iPhone user Apple knows their market and how to keep their customers happy in their eco system. All of their products works in perfect sync and harmonies together when you own more than one of their devices. For example, I can use enabled fitness apps on my series 1 iWatch such as the AutoSleep App that syncs with the app on my phone to see all of the details that my watch has tracked. This is typical of most fitness trackers, but the information available on the watch is more detailed than the limited 8-bit like Fitbit screen. I love the personalisation available for the Fitbit, the Tom Ford accessories collection calls my name! The prices of them are similar to the lower budget iWatches, but I would be more inclined to spend the money on gold Fitbit hardware than a different coloured strap. Ultimately, being the tech giant that Apple is, there is always an app for everything. Although it wont be all in one place, they all work with each other and I can connect them all up. So I will stick with my iWatch for now whilst I still have my iPhone and maybe I will end up unwilling shelling out the extra dosh for an upgrade, so all of my devices are more personalised. This blog was originally published here and was written by Rachael Yeung, freelance wearable tech and fashion tech blogger at Women of Wearables. She regularly writes and blogs on topics of wearable tech, fashion tech, IoT, women in tech and diversity. Visit https://rinniboo.wordpress.com/, follow Rachael on Twitter or connect with her on LinkedIn.